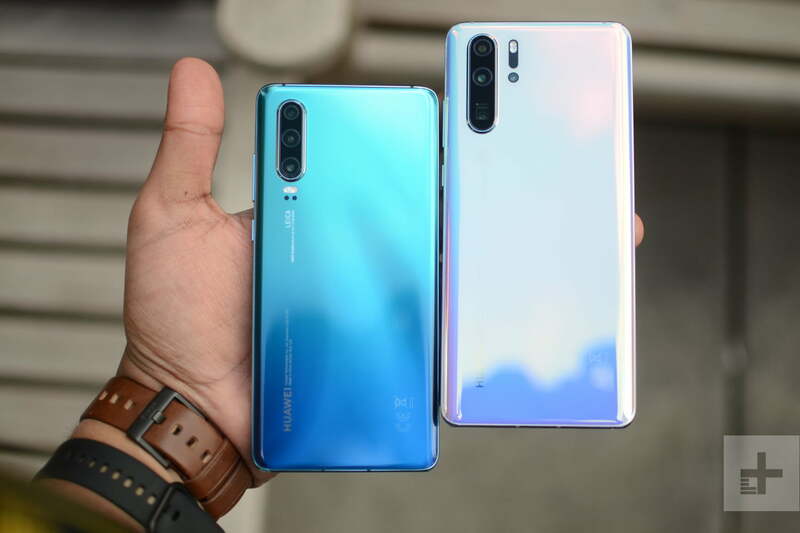 Huawei P30 Pro vs. Huawei P30: Should you go pro or save some dough? Huawei is hitting the headlines again with a dynamic smartphone duo. The Huawei P30 Pro is the bigger of the two, but the more affordable P30 boasts many of the same features. If you’re sizing these two phones up and wondering which to order, then you’ll want to read up on the differences. 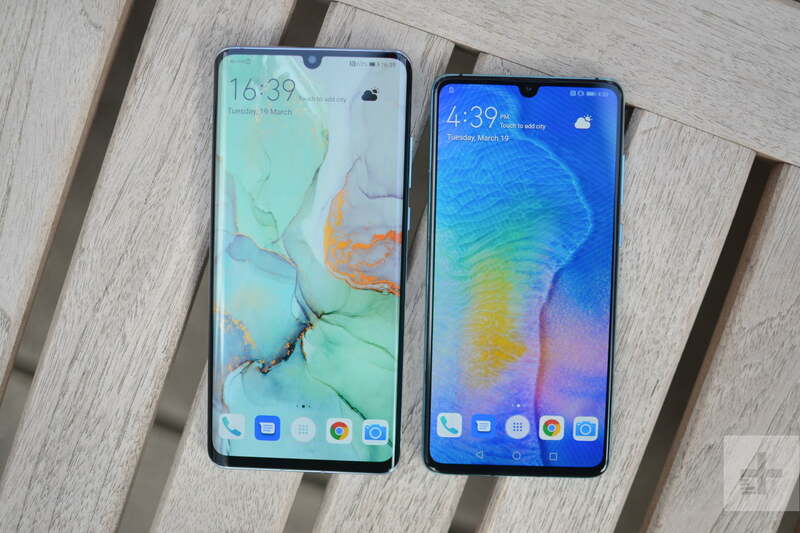 Join us for a detailed look as we pit Huawei P30 Pro versus P30. You’ll find the impressive Kirin 980 processor inside both of these phones. The Huawei P30 has 128GB of storage and 6GB of RAM, but the Huawei P30 Pro comes in a choice of 128GB, 256GB, or 512GB all paired with 8GB of RAM. Storage can be extended with one of Huawei’s proprietary Nano Memory cards. The P30 Pro has a bigger battery at 4,200mAh, but it also has a bigger screen to power. The P30 makes do with a 3,650mAh battery. Both boast Huawei’s SuperCharge wired fast charging, which can deliver 40W. Only the P30 Pro has support for wireless charging at 15W. In many ways the Huawei P30 Pro is just a bigger version of the Huawei P30. They both have AMOLED screens with teardrop notches and shimmering glass backs with camera suites at the top left. Only the P30 has a headphone jack, though, whereas the P30 Pro simply has a solitary USB-C port on the bottom edge. Something that does set them apart is the IP rating for water resistance. The P30 Pro scores a superior IP68 rating, while the P30 is just IP53. That means the P30 will be fine in rain, but it probably won’t survive immersion like the P30 Pro can. Size is the only real difference here. The P30 Pro has a 6.47-inch screen and the P30 has a 6.1-inch screen. Both have a resolution of 2,340 × 1,080 pixels, which means the P30 will be slightly sharper, but we don’t think it’s something you’re going to notice. The Huawei P30 has a triple-lens camera suite worthy of a flagship. It combines a 40-megapixel SuperSpectrum lens with an f/1.8 aperture, a 16-megapixel ultra wide-angle lens with an f/2.2 aperture, and an 8-megapixel telephoto lens capable of 3x optical zoom. As impressive as that combo is, the P30 Pro bests it. Once again there’s a 40-megapixel SuperSpectrum Lens, but it has an f/1.6 aperture — lower is bigger, so it should be able to take in more light. Alongside it there’s a 20-megapixel ultra wide-angle lens with an f/2.2 aperture, an 8-megapixel telephoto lens capable of 5x optical zoom (and 10x hybrid zoom), and a Time of Flight camera that can offer better depth maps for Portrait Mode. Both of these phones have a 32-megapixel front-facing camera. You’ll find Android 9.0 Pie with EMUI 9.1 over the top on the P30 Pro and the P30. The software experience should be identical. Huawei promises a more responsive experience with faster app load times than with older versions of its software. We would expect the update schedule to be pretty similar. If you’re wondering where the fingerprint sensor is, it’s in the display. Huawei said it’s more reliable than the last version in the Mate 20 Pro. There are a few other extras here including OneHop, which lets you hook up your PC and P30 or P30 Pro to seamlessly copy and paste files or record your PC screen and share it on your phone. The new phones can also be used to unlock certain Audi cars and even start them. One thing that sets them apart is the reverse wireless charging feature, which enables you to share battery by placing any Qi-certified device on the back of your Huawei P30 Pro. The Time of Flight camera also allows for an augmented reality app that can accurately measure length, width, and height. The Huawei P30 Pro costs 999 euros ($1,128) for the 128GB model, 1,099 euros ($1,240) for the 256GB version, and 1,249 euros ($1,410) for the 512GB model. The Huawei P30 costs 799 euros ($900). Neither will be made officially available in the U.S. though, so you’ll have to import if you want one. There’s no doubt that the bigger phone is the better of the two. The P30 Pro has a slightly bigger screen and battery, support for wireless charging, better water resistance, and a better camera suite. There isn’t a huge gap, though, so the P30 may be a more sensible purchase if you prefer a slightly smaller device or you want to save yourself some money. Huawei P30 Pro vs. Google Pixel 3 XL: Which camera powerhouse reigns supreme?